So here we are. Why am I so pleased to have this recipe and the fact that it worked so well you might ask? (It’s just bread after all). 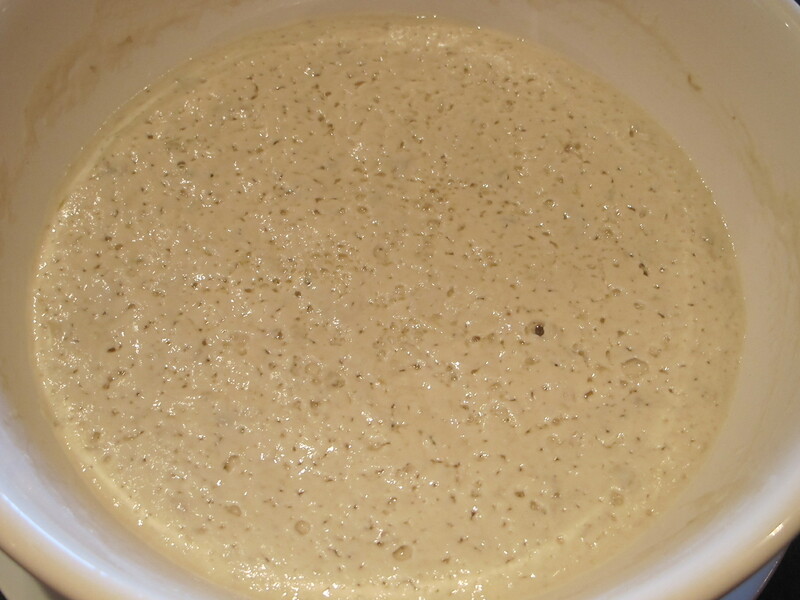 It’s because olden-times recipes for yeast say to add some old yeast mixture (i.e. ready-made from a former batch) to get it moving. How can you do this when there is no original hop yeast recipe available? Now the dilemma is resolved. I’ve learned a few things along the way, like DON’T drill a hole in the lid. We did this thinking to save the bottle from exploding, but as a consequence this morning the plant looked totally dead – obviously it likes to work in a confined space. 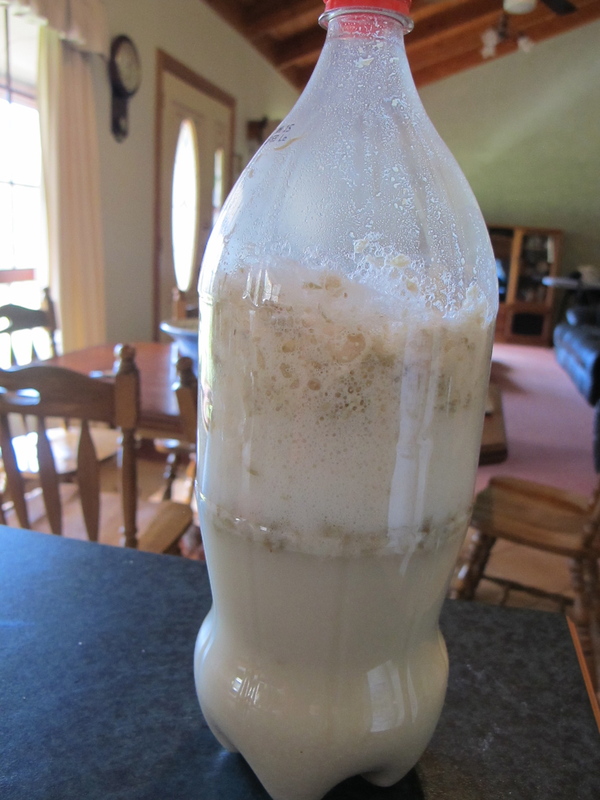 I did a hasty re-feeding and within a couple of hours it was bubbling away again, thank goodness. Actually, when I unscrewed the lid a few minutes ago it went a little ballistic and tried to escape from the bottle. I think I might have to divide it in two. 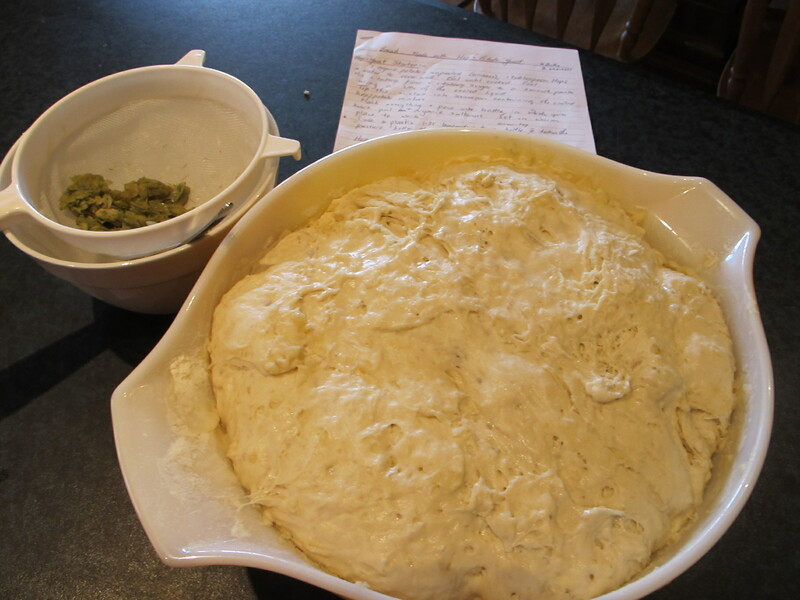 So the overnight ferment went well, and the subsequent dough rose splendidly and baked even better. I am looking forward to tasting it this evening. 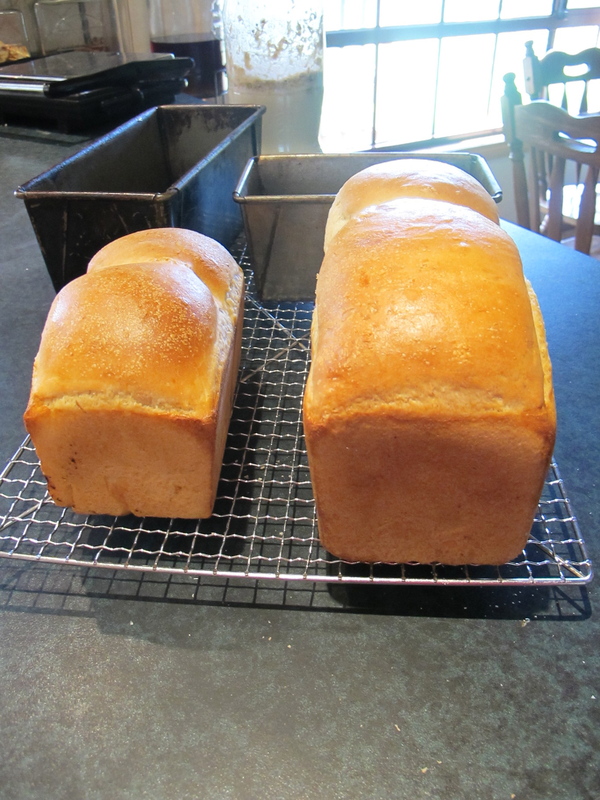 The photos show all the action, including the finished loaves, one for us, and one for Mavis who so generously shared her recipe.